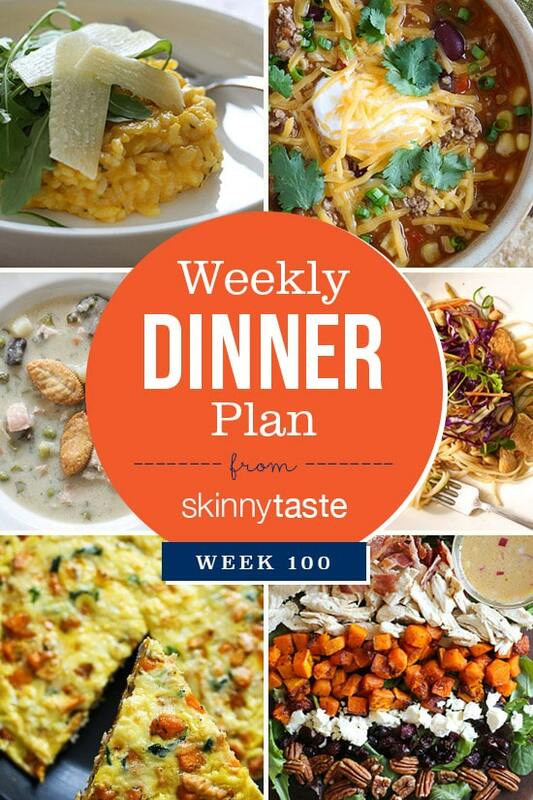 Skinnytaste Dinner Plan (Week 100). Wow! Week 100!! Thanksgiving we always go to my Moms and everyone brings something. I am bringing a few sides, and looking forward to the leftovers!